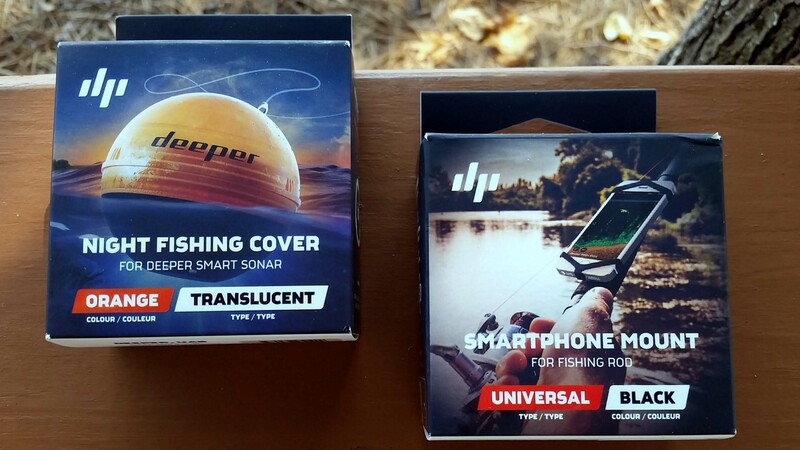 I have been interested in portable fish finders ever since I first started kayak fishing. 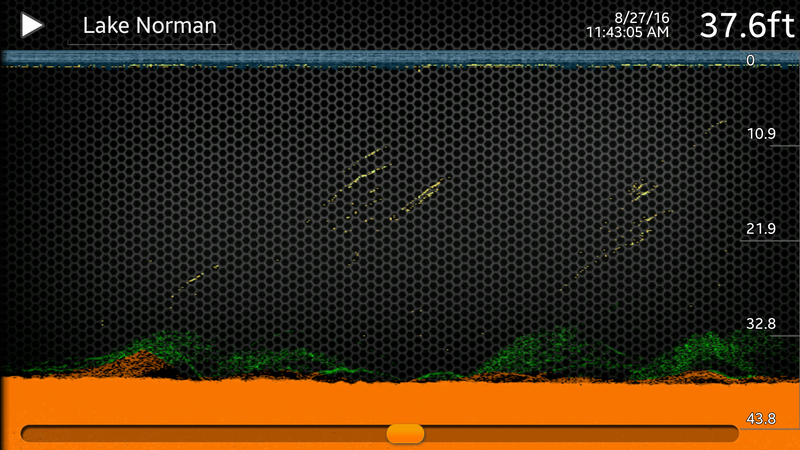 Deep lakes with no visible cover can be very hard to fish without electronics, such as Lake Norman in North Carolina. One of the biggest attractants to this unit in particular is the ease of use and portability that allows you to transfer this between fishing from shore, to a pier, to a kayak. 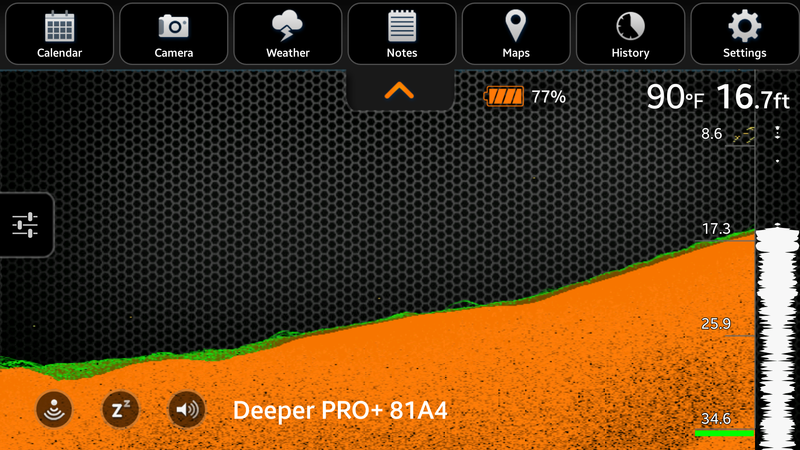 When I got the Deeper PRO+ in the mail the first thing I did was charge it up then try to connect with my Android phone and see how it worked right away in my home office just as any over-excited fisherman would do. However it wasn’t connecting, so my first thought of course was that it was broken. Obviously I should have read the instructions that say the deeper unit activates only when you put it in liquid. So I immediately filled up the bathroom sink and dropped it in. Success, it connected! But still it wasn’t displaying anything. Obviously I should have read more of the instructions that explicitly state that it won’t work in a sink. 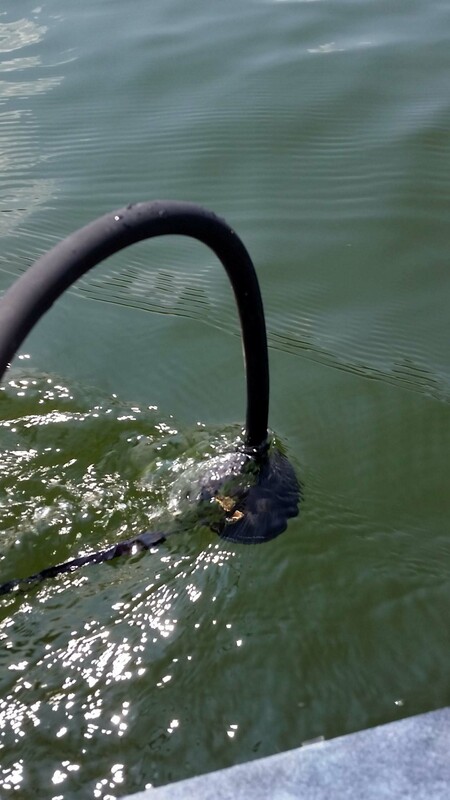 However I was able to confirm that it connected to my phone, so this had me itching to get it out on the lake as soon as possible. 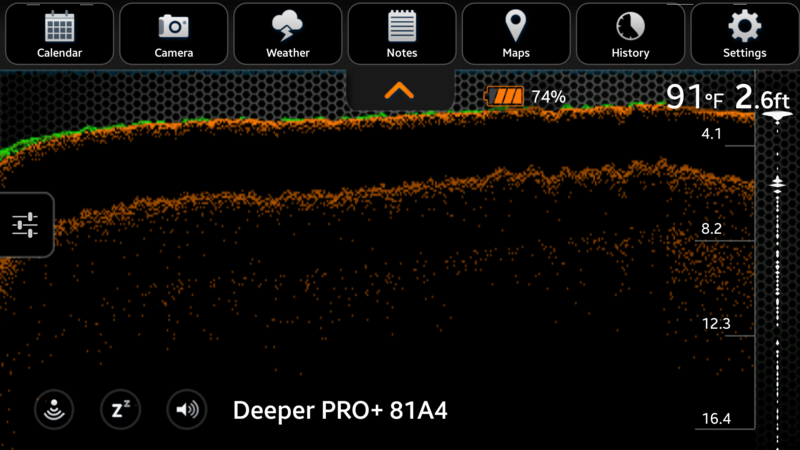 Deeper’s best new feature with this latest release is that it allows gps in the fish finder to create bathymetric maps while being onshore or offshore. For those that didn’t know what that means, myself included, a bathymetric maps is the submerged equivalent of an above-water topographic map. Bathymetric maps are designed to present accurate, measurable descriptions and visual presentation of the submerged terrain. What this means is that you can now log your favorite lake and learn the contours and details to make your next fishing trip even better. One other new change is that the unit now uses wireless now instead of Bluetooth which results in a better connection. When I was fishing I didn’t have any disconnects, and it was about 2 inches under the water most of the time while paddling. 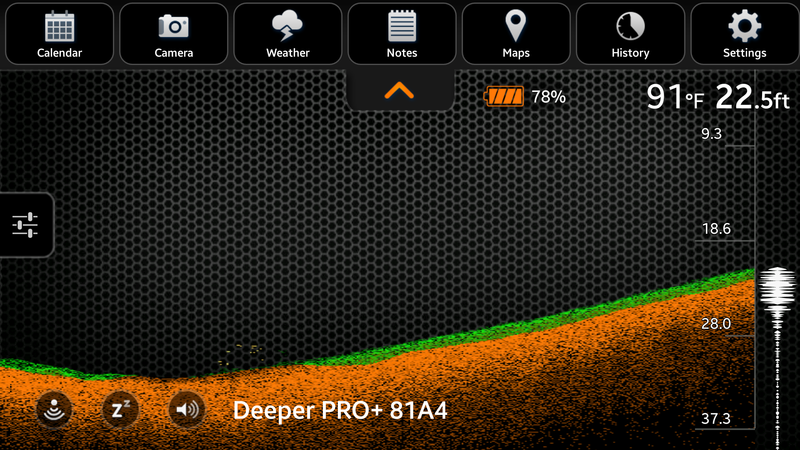 The Deeper fish finder is so portable which is awesome. It’s about the size of a racquetball and it’s super easy to throw into my milk crate for the kayak. The unit was pretty easy to get up and running once the app was installed. I used it with my Samsung Galaxy S5 phone and had no issues. The app is available for both Android and iPhone and that is the only way to control and use the unit. Battery life, water temperature, depth, and the sonar readings are all the key features on the screen and they work well. The user interface has a stellar design and it’s nice to have high quality HD resolution from a phone screen that normally doesn’t come with a fish finder. The unit also has a max depth of 260ft, which lets you fish all but the deepest lakes and oceans. One issue I did have was that the only available mounting location on my kayak was the handle right next to where I paddle. This was convenient to make sure the unit was adjusted correctly but I also kept slamming into it with my paddle and it would cause disruptions in the reading. I also had quite a difficult time seeing the display of my phone due to the bright sunlight, even on full brightness it was difficult and my phone battery started to go fast. Another concern I had about the unit and I’m sure other people will as well, is the battery life. Since the battery is built in there is not a way to replace it once it dies on the water. The Deeper literature says it should last 5.5 hours, which cuts it a few short for my usual fishing trip. One other prevalent issue that pops up when looking to secure this unit is mounting arm. Checking amazon there are numerous reviews stating that people have lost their unit to the lake or have difficulty getting it to stay clamped or hold a position. Personally I didn’t have any issues with the arm but I can understand that it’s not the best mount out there. I wish there were a few more options from RAM or Scotty to get this secured. Deeper offers a night fishing cover to keep the unit more visible when fishing in the dark. Also a smartphone mount to hold your phone to your fishing rod is available. On the right is the universal Deeper mount and clamp. It is more portable than any fish finder on the market. Period. It will log a history of your trip so you can go back and see bottom contours and watch the fish you missed swim by. The app allows you to adjust the freq to 90kHz or 290kHz and set the sensitivity on the fly. Custom bathymetric maps can be made when you use the deeper in ‘boat mode’. It combines GPS with the sonar and will map out the lake bottom. It saves this in your history and it can be referenced at any time. If you consistently fish a single lake, this is a key feature that is invaluable. Weather, fishing calendar based on moon cycles, and way points are all integrated into the app. There are no wires or batteries hold it down so you can transfer it between kayaks or take it with you on a shore fishing trip. 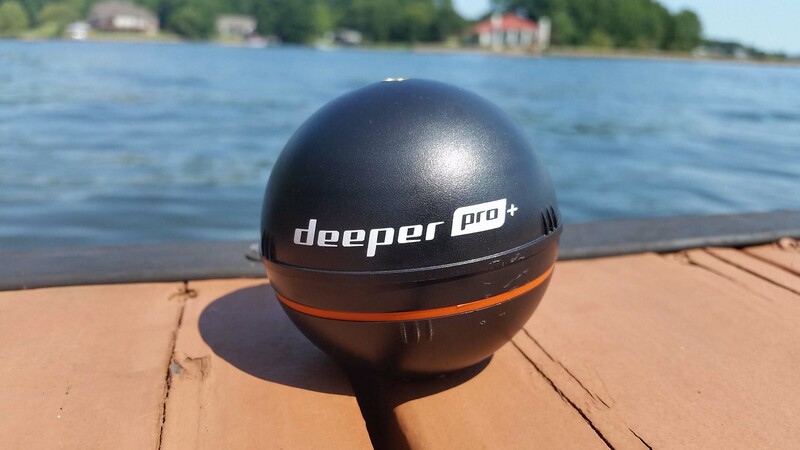 Absolute best solution for pier fishing and dock fishing to understand the underwater topography and pick the best places that will hold fish. It is fairly expensive for a portable fish finder, you can find a Garmin, Lowrance, Raymarine, or Humminbird DI models for the same or less. When you include the unit and the arm mount you’re right at $300. However you can purchase a more basic model of the Deeper unit that excludes some of the special features and makes it more budget friendly. 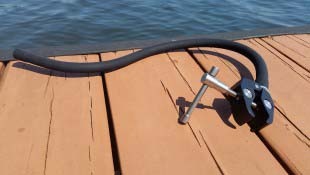 Flexible mounting arm (sold separately) has many review online of coming loose and dragging your brand new fish finder to the bottom with it. I personally didn’t have any issues with it but didn’t feel the design was very intuitive. 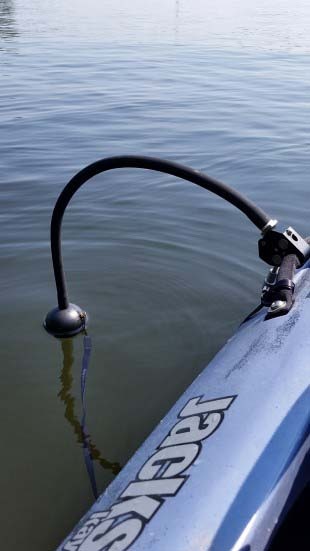 Deeper has now included a lanyard to attached the unit to the boat in case it comes loose, but a redesign would be a better option. The built in battery and limited battery life make it great for a short morning fishing trip but will limit a full day on the water or a weekend trip without access to recharge. An improvement would be making the battery removable so extras can be bought and replaced as needed. You’re faced with the dilemma of using your smartphone as a screen (aka your whole life in a 5 inch device) and risking dropping it into the water, or buying a separate tablet and using it as a dedicated screen. Once you do that then you’re up into the $500 range. 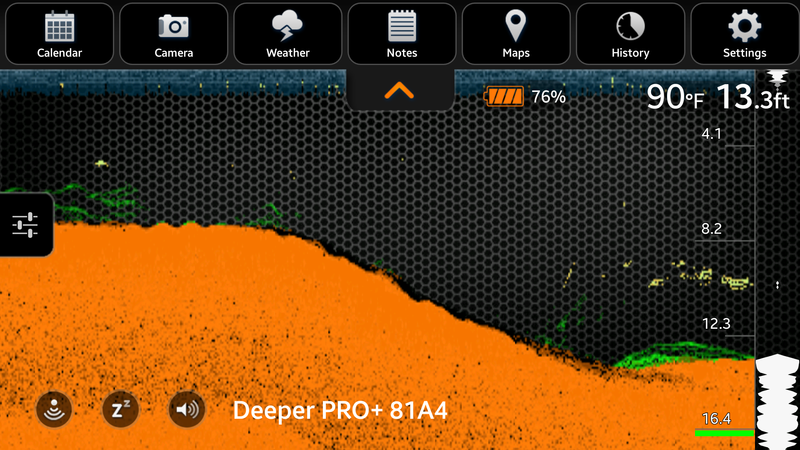 The Deeper Pro+ is unique in that it truly excels at providing insight into the underwater topography when you’re stuck on shore. If I were to only fish from shore, ice fish, or use rented kayaks then this would be to absolute best unit for that application. However I feel it’s not as well suited for a kayak or boat as a permanent solution. Between the 5.5 hour battery life, lack of a dedicated screen, and additional accessories you must purchase, I would consider other options. The Deeper Pro+ does an awesome job of being a compact all in one unit but I don’t like the extra cash you have to spend to get it fully functioning and convenient to use on the water. Bottom line, definitely buy this when confined to shore or you are unable to modify your boat to sneak a peek at underwater contours and cover and create bathymetric maps, but consider other options if you’re fishing from a boat or kayak for a more permanent solution.